Ananda Narasimhan’s article “Should Canada create an amphibious force,” published on the NATO Association of Canada (NOAC) website on May 17th, maintains that my book, Marines: Is an Amphibious Capability Relevant for Canada? (Centre for Foreign Policy Studies, 2008), argues in favour of establishing a ‘Canadian Marine Brigade.’ In fact, it does no such thing. Only one of the feature articles, Gilles Couturie’s “The need for an amphibious force for Canada: An operational requirement,” argued for acquiring an amphibious ‘capability,’ meaning the ships and landing craft, but not the marine component. My introductory chapter to Marines, which set out a navy-marine-naval infantry typology, described the extraordinary diversity and functional flexibility of these forces, but made no effort to assert the requirement. The global survey I conducted, using 2006 data, identified some very important things about who has an amphibious capability, marines or navy infantry, and why. Here is a quick summary of that part of the book. In total, 81 countries have some form of amphibious capability or a marine-naval infantry force structure, or both. Of that number, 43 have either marines or naval infantry. Four of those with the troops have neither landing ships nor landing craft. That leaves 38 countries with amphibious ships and/or craft but no troops. What are we to make of this seeming collection of oddities? Here are the basic deductions stemming from my analysis. At the highest institutional level, an amphibious capability becomes necessary if an urgent requirement exists to move people and material across a water-land gap when docking faculties are either not available or have become unusable. Naval forces operate on very high readiness levels and at very short timelines for movement. 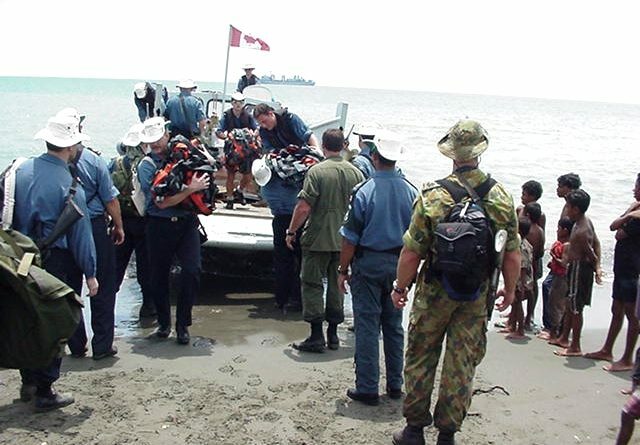 With a professional motto like “Ready, Aye, Ready” the Canadian navy prides itself on being responsive to a crisis and able to reliably perform difficult tasks. If one, or any, of those tasks involves an amphibious scenario, then a capability that matches the naval reaction timelines is necessary. Otherwise, it will be left at the home port dockside waiting for shipping to come back for it at an opportune (for the navy) moment. At the intermediate organizational level, the arguments for or against ‘amphibiosity’ should revolve around volumetrics. How much space is required to move the envisioned capability to be embarked and landed? Can it be partitioned into lead, main and support elements to match a delivery or extraction plan? What part can be moved by air? What are the risks en-route and on-station? How long with the amphibious force be required to remain in the operating area and how much on-going support will be required to sustain that effort? Suggesting too large an amphibious force will drive the logistical lift and sustainment demands to astronomical levels. This is why all amphibious forces are smaller and lighter than their army counterparts. It is also why marine-naval infantry forces employ ‘all-arms’ force structure at lower levels than typical army units. This is not all a question of tactical-level combat capability. The survey I conducted identified 12 capability areas among marine-naval infantry organizations and a seven-level typology of amphibious forces. Several among them are for strictly limited security, support and sustainment tasks. There is not a single standard or organizational purpose amongst any of them. There are only two things that can be said with certainty: examples of the seven types of forces can be found inside national defence structures comparable to, and even smaller than, that of Canada’s, and; the larger the navy-marine amphibious force becomes, the more expensive it is to equip, train and sustain. There are clear indications that countries of much more modest means than Canada have decided that an amphibious capability is essential to their national military force structures. This survey has illustrated the diversity of marine-naval infantry (M/NI) force structures and their employment possibilities. Further research with more detailed sources would undoubtedly provide other insights. The typology could be refined in a number of areas to provide more guidance about the capabilities and limitations of different amphibious forces. The main conclusion reached from this study is that marines (or naval infantry) can be designed to suite practically any purpose and to meet any requirement. The secondary conclusion from the survey is that comparisons between Canadian and American force structures are not the only standards of measure for determining whether an amphibious capability is appropriate for Canada. Being close neighbours, the natural tendency of Canadians is to seek the first point of reference for a comparison in the United States. To conclude automatically that an amphibious capability has no relevance for Canada based on one example ignores a very wide range of options that can be studied in 80 other countries. Any decision about amphibious forces for Canada must be based on sound appraisal of the entire range of options. Whether in a domestic or foreign context, having an amphibious capability that is readily deployable at short notice can provide strategically important effects. This is especially true in cases of humanitarian relief and disaster assistance. Such a capability can also be of significant operational and tactical benefit in joint and combined [military] operations where the naval force is needed to provide critical logistical support. M/NI forces are undoubtedly difficult to categorize, but their key characteristics are flexibility and responsiveness. Marine forces are significantly different from army forces. Moreover, the wide range in types and capabilities of M/NI forces means they must be thoroughly studied and completely understood by joint force commanders. While the average data presented here suggests a general system of categorization, the variation within the categories was significant. These facts should serve as cautions to both force structure planners and force employers. Suggestions that amphibious capabilities have no relevance for Canada unless they can meet all of the needs of the army units to be moved are not supported by the data in the survey. In fact, the lift and sustainment capacities of National Contingency Forces tend to be limited, just as they are in all other types of M/NI amphibious forces. These limited means suggest that the volumetric capacity of the lift dictates the type and character of the land force to be moved, rather than the reverse. A ‘perfect fit’ between naval capacity and army requirement does not appear to exist. The key to the amphibious design process is recognizing that naval solutions to defence problems will be inspired by a different philosophy of operation and motivated by different principles from those of land forces. In practically all circumstances, these motives will produce unique concepts of operation that are reflective of their origins. For some problems, they are the only reasonable solution. For others, they will be more expensive and take longer to accomplish the tasks. Recognizing these advantages and limitations is central to the decision to, or not to, create an amphibious capability. Ken Hansen is an independent defence analyst and owner of Hansen Maritime Horizons, based in Halifax, NS. He is a member of the Science Advisory Committee for Atlantic Oceans Research Enterprise and a contributor to the Security Affairs Committee for the Royal United Services Institute. His research includes joint and interagency maritime security theory and doctrine, procurement, planning processes, and logistical requirements. 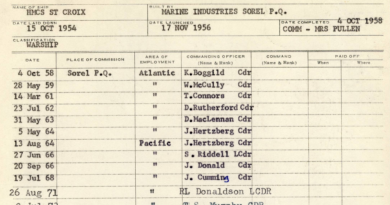 Ken was the Military Co-Chair of the Maritime Studies Programme at Canadian Forces College in Toronto before holding the naval defence fellowship at Dalhousie University. Retired from the navy in 2009 with the rank of Commander after a 33 year career, he joined the Dalhousie University Centre for Foreign Policy Studies as a resident research fellow and lecturer before appointment as Adjunct in Graduate Studies (Department of Political Science) in 2013. He has been a contract researcher working on shipbuilding costs for the Parliamentary Budget Officer. Ken has published over 30 articles in professional journals, nine chapters for collected works plus edited and contributed to two books. He is a frequent commentator on radio and television.